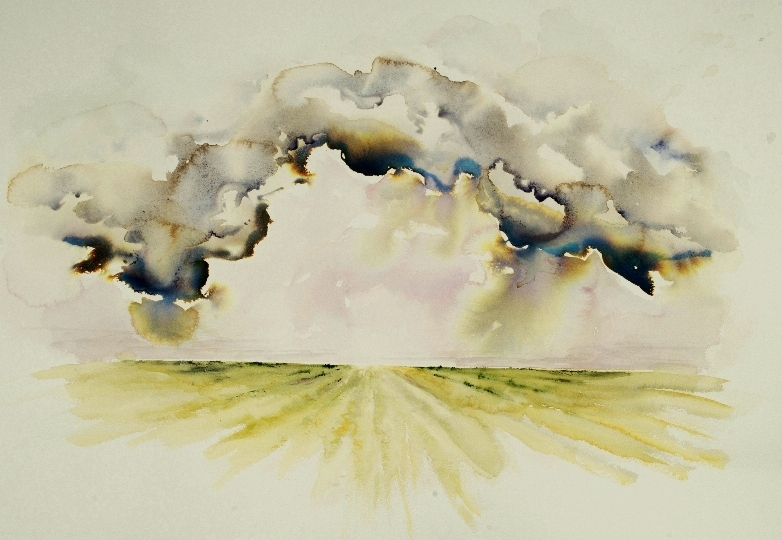 Patrice and Ruth both have solo exhibitions at Maryland Hall for the Creative Arts. Opening reception is tonight, Wednesday March 11 from 6:30 – 8pm. Patrice’s exhibit, “Balanced Distraction”, will be showing through April 11 at Maryland Hall in the Martino Gallery. The April exhibition at the Foundry Gallery is “The Painted Word: 1 + 1 = 5”. It will be showing April 1-26 with a reception on April 3 from 6-8 pm. Steve has written a post on his blog introducing his three pieces featured in the current MFA exhibition “Focal Point”. The post can be found here. Wil’s piece “Nevermore” has been accepted into the exhibition “Black and White: The Living Tradition” at the PH21 Gallery in budapest, Hungary. The exhibit runs from March 12- April 1. 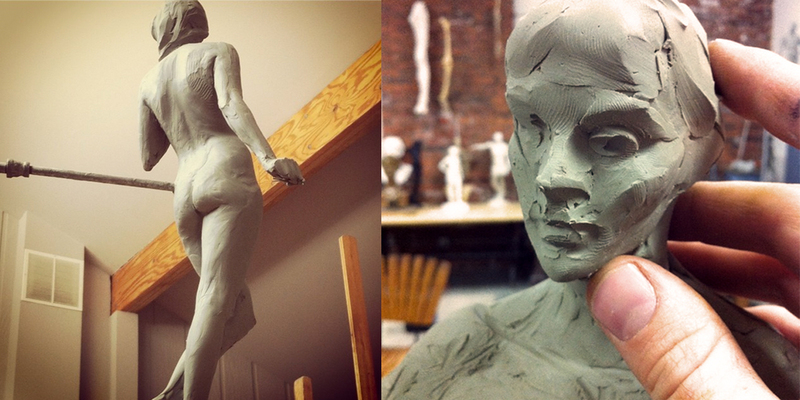 The Features in Terracotta – 3 Day Weekend Workshop New! 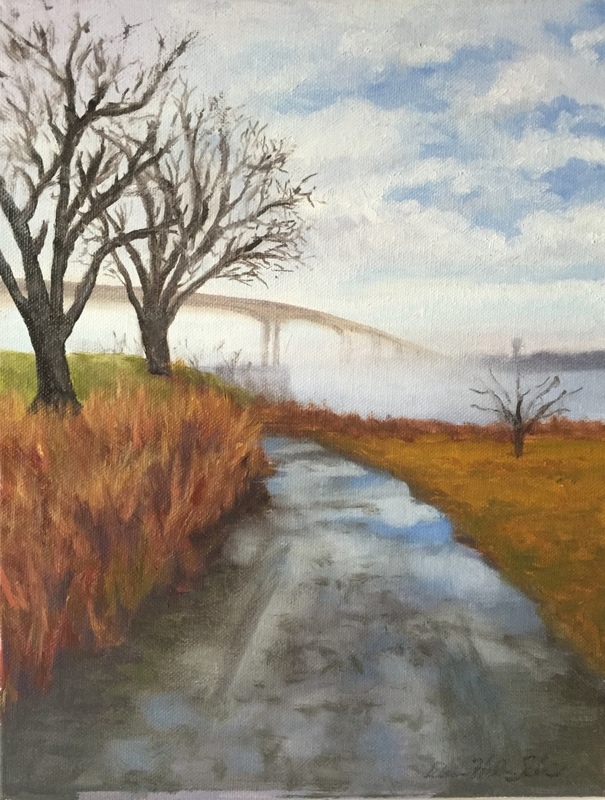 Scherini continues to teach both oil and watercolor painting weekly at the Annapolis Senior Center through the Anne Arundel Community College. Scherini has over 20 pieces on exhibit at Gallery 333 (Dubois Rd, Annapolis) at the Unitarian Universalist Church into March. open 10 to 3 Mon thru Thurs and 10 to 12 on Sundays. She has 5 plein air pieces on exhibit at the Chadd’s Ford Historical Society 1736 Creek Rd, Chadds Ford, PA 19317 through March 2015. There will be a lecture by the author of the book “100 plein-air painters of the Mid-Atlantic”, Gary Pendleton, on Tuesday March 10th. for more information call 410-388-7376 or visit www.chaddsfordhistory.com. Richard’s work has ten selected as a finalist for the 2015 Fine Art Photography Exhibit held at Artspace Herndon until March 22. Several pieces have been selected for the “My Little Town” exhibition at the Photoworks Gallery until April 12. 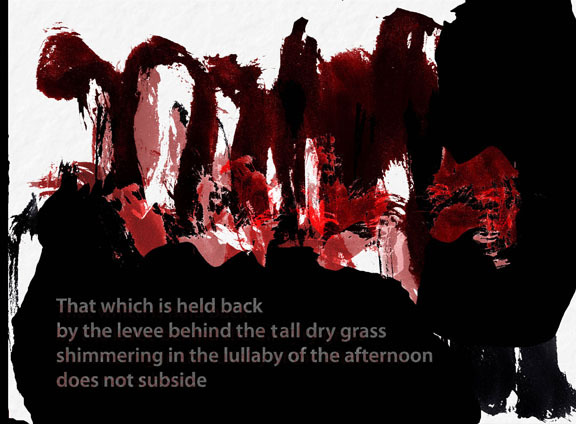 The gallery is in Washington D.C.
Richard Paul Weiblinger was selected to have two of his pieces included in “The Guild: A Celebration of Artistic Expression”; a juried invitational Exhibition at the Maryland State House; Maryland House of Delegates, Lowe House Office Building, Annapolis, MD January 14 thru April 13, 2015.
a solo invitational Exhibition of twenty of his images at the Washington Artworks Gallery in Rockville, MD January 16 thru March 16, 2015. They are hosting a regional art exhibition. 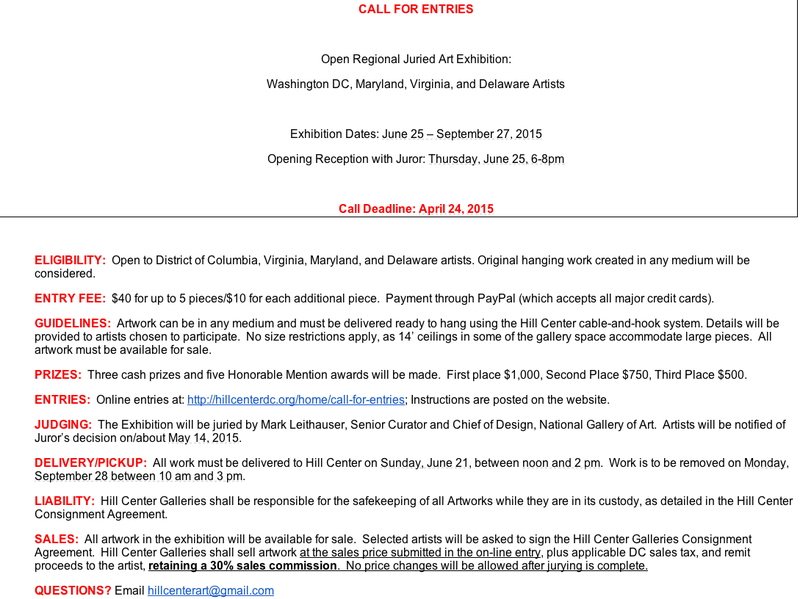 Artists may only be from District of Columbia, Maryland, Virginia, and Delaware. The deadline for submission is April 24, 2015. They are searching for small works artists. More info can be found on their website here. 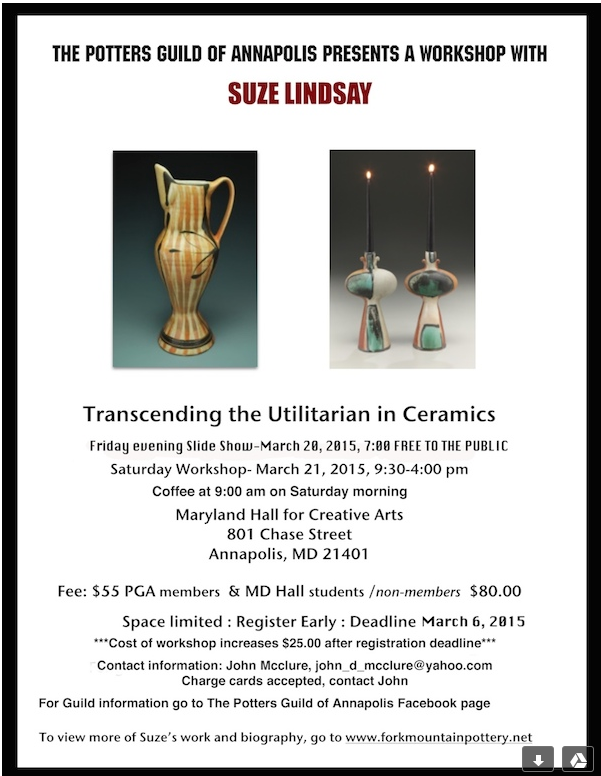 There is still room in the workshop beginning March 21. 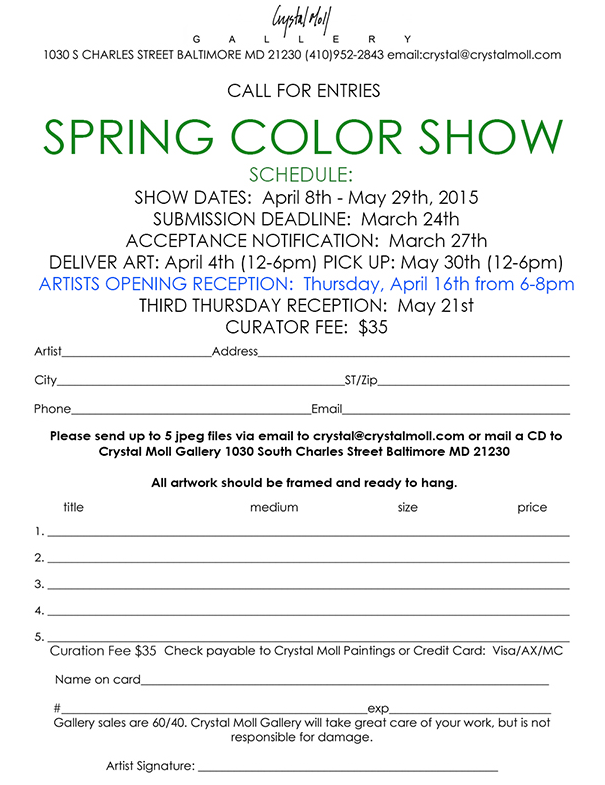 The Crystal Moll Gallery is calling for artists to submit paintings depicting the colors of spring. Waverly Street Opportunity The Waverly Street Gallery, a cooperative gallery in downtown Bethesda since 1993, is accepting applications for membership from artists in various media. For information and instructions on how to apply, please visit WaverlyStreetGallery.com or www.waverlystreetgallery.com/membership.htm. A gallery committee will interview prospective members in March. 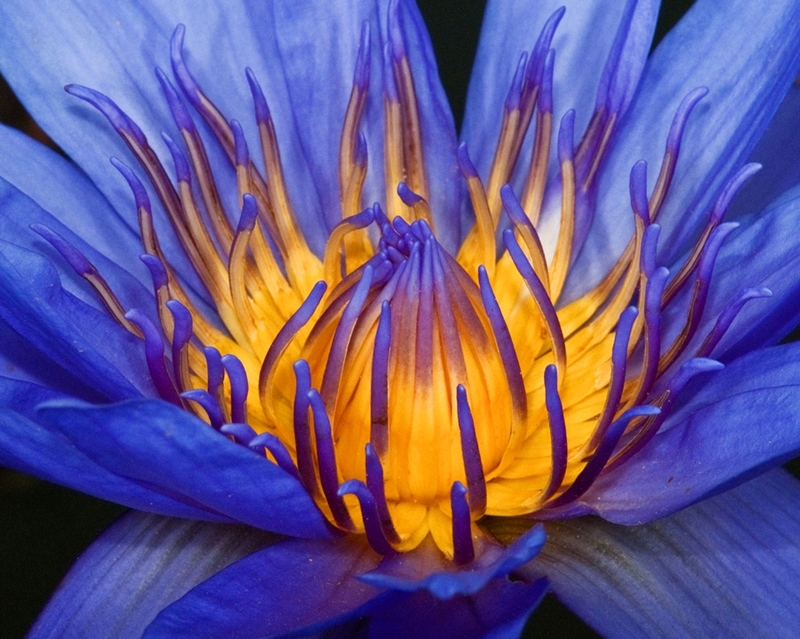 Art @ the Park 2015 , the 25th annual Friends of Quiet Waters Park arts festival, will take place at Quiet Waters Park in Annapolis, MD Oct. 17-18, 2015 from 10am-5pm each day. 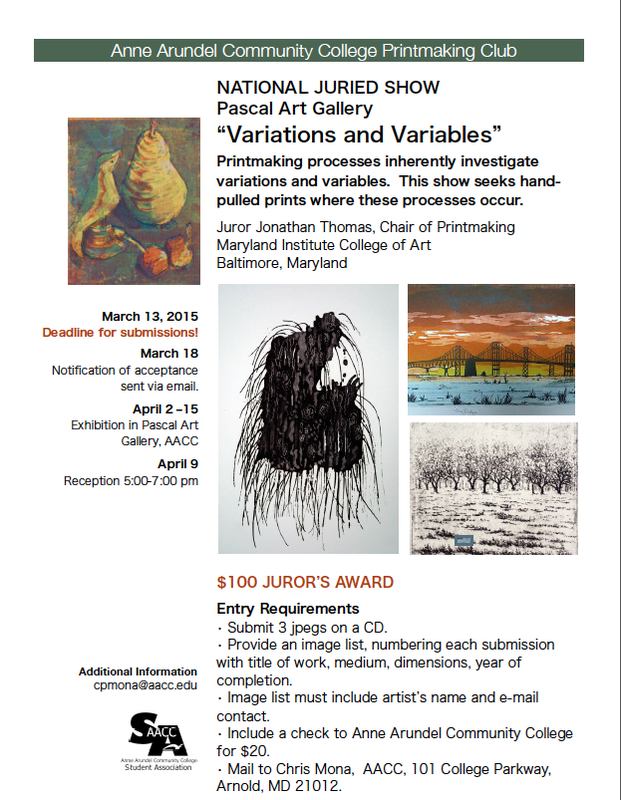 Applications for this juried exhibition are NOW OPEN and CLOSE Saturday April 4, 2015 (late application through 4/11 with $10 late fee.) Apply online at Juried Art Services (under Art@the Park 2015 – Quiet Waters Park). The application fee is $25. Booth prices range from $100-$200. For more information:​ ​festival@fqwp.org. Mount Gretna Outdoor Art Show is looking for 260 fine artists and craft persons for the Pennsylvania event for the weekend of August 15 and 16th. The jury fee is $25 and booth fees range from $360-$720. There are $2500 in cash awards and the deadline for submission is April 1, 2015. For more info on submission click here. For the full prospectus, click here.